Posted On November 24, 2014 by Team iCynosure. You know how they say, "Good things come to those who are willing to wait." 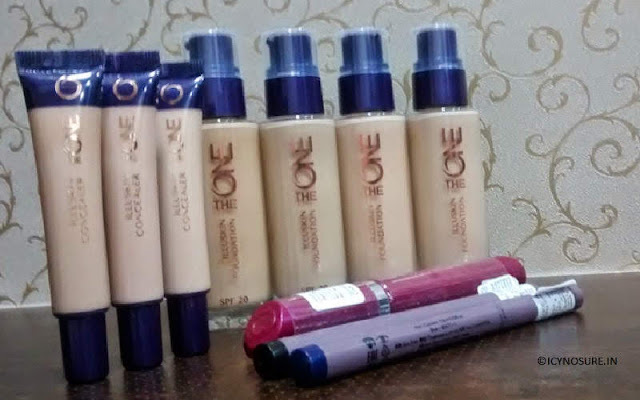 And I’m waiting patiently since Oriflame’s #TheOne range of products are being rolled out slowly. Having already received a few glorious products including Volume Blast Mascara, Eye Liner Stylo, IlluSkin Concealer, IlluSkin Foundation SPF 20, Colour Impact Cream Eye Shadow and IlluSkin Power SPF 12; I just cannot wait to know what more is in store for me. I’ve always a sucker for a strong foundation that allows building on. So for a killer look, that is flawless and perfect; one must put in the maximum effort in ensuring the base make-up is perfect. I prefer to use make-up to accentuate the base make-up that allows a perfect look for at least a few decent hours without having to be touched up or corrected. To create that everlasting smooth and natural look, opt for the best concealer and foundation that is suitable for your skin type. Though there are loads of companies offering good substitutes, I’ve fallen in love with #TheOne’s IlluSkin Concealer and Foundation SPF 20. What is the highlight of the IlluSkin base make up products? The products are extremely light-weight and backed by the amazing HaloLight technology to achieve an illuminated skin. It allows a buildable coverage for a fresh and natural finish and is an oil-free formula that ensures no shine, just a beautiful glow. Additional SPF 20 helps keep skin natural and protected. The combination helps achieve a perfectly natural look that doesn’t weigh down on the skin. Which are the available shades? The concealer is available in three variations Fair Light, N*de Pink and N*de Beige while the foundation is available in Porcelain, N*de Pink, Natural Beige and Olive Beige. How is it packaged and priced? The concealer is available in a tube while the foundation is packaged in a pump dispenser glass bottle with a cap. Priced at INR 349 and INR 799 respectively, the products can be currently owned at a 25% discount. Using the products for my base make-up for the last month, I’ve already exhausted 40% of the N*de Pink which perfectly matches my skin-tone. The very first time I used the product, I tried it on the inner section of my wrist. As I massaged the product into my skin, it was absorbed instantly in a smooth even-tone. With regular usage, I realised that the products set into the skin in a couple of minutes and my face is ready for further make-up applications. Apart from this, the products are extremely light-weight not at all weighing my face, and also it stays for a good 6-7 hours. All in all the base make-up from #TheOne range of make-up products is a full natural coverage product that is easy to blend and extremely light-weight that lasts for a good 6-7 hours. Will I repurchase/use the product again? Definitely! 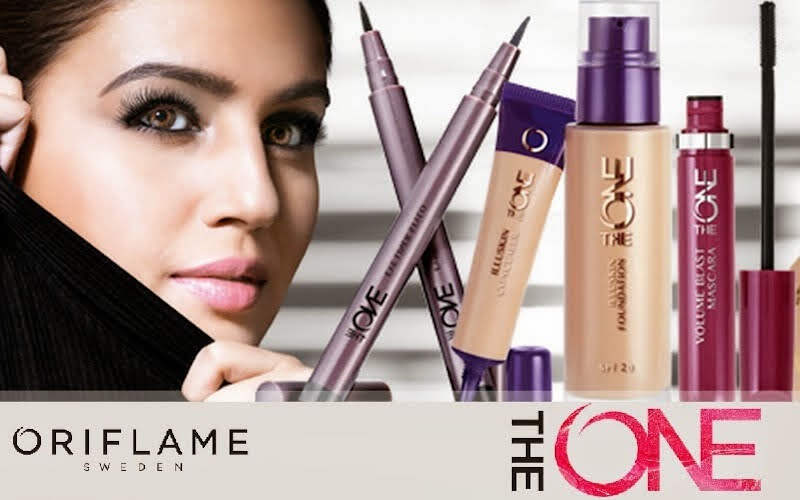 To know more about Oriflame’s #TheOne range of products and to join their Facebook page click here.